Change. It’s a word that never ceases to inspire and to motivate. However, it’s a word that Suzuki hasn’t been very familiar with in the past. The Suzuki name – at least in conjunction with North America’s auto market – has remained in the same dim backlight for years now, overshadowed by compatriots like Honda and Toyota. But Suzuki is about to introduce a car that’s better than any they’ve ever released here: the 2010 Kizashi, and we’ve caught whiffs of major change taking place within the brand. Kizashi is literally translated as ‘something great is coming,’ and as unsubtle as that is, we’re not about to argue with that. The car is indeed great – and not just for the sub-$19,000 starting price. It features a drive that rivals the best in the segment despite only being equipped with a four-cylinder engine, and its performance is apparent on both urban streets and mountain roads. With an evolved exterior design that speaks to the sport-oriented customer and high-quality interior appointments that belie the low base price, the Kizashi has elegantly launched Suzuki into the 21st century. Welcome to the future, you’ll fit in just fine. Slipping into a skin that looks modern and eye catching is a bold and smart step for Suzuki. 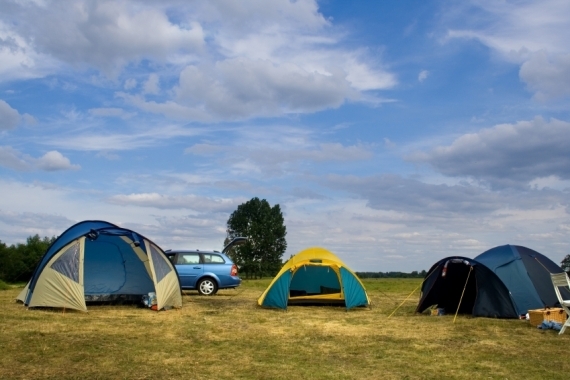 It’s a characteristic backed up by the best drive we’ve seen come out of a Suzuki ever. Pricing is hard to beat for the quality and standard features presented in the car. And, of course, it does come with America's best warranty. Suzuki still has a way to go to gain respect in the American market. Many shoppers don’t even consider the brand when researching their new car purchase, which means they have their work cut out for them. iPod integration isn’t as straightforward as you may think, involving various unlabeled knobs and buttons to scroll through the menus. The upscale exterior design and interior appointments may surprise buyers, but it is the drive that stands out for us. The only available engine, a 2.4-liter four-cylinder, keeps power coming in droves – belying its proclaimed 185 hp. Power is channeled through a smooth shifting six-speed manual, which Suzuki expects to account for 15 percent of sales, or a continuously variable transmission (CVT), which reduces horsepower by five. 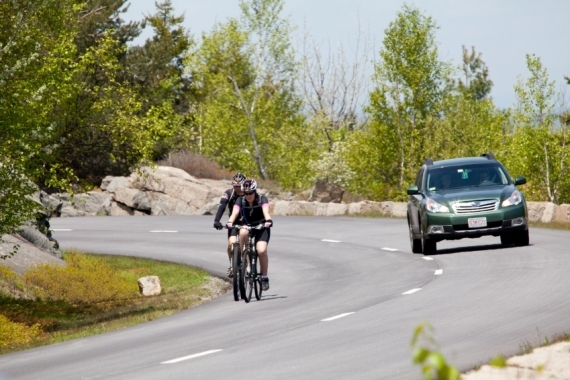 Tuning has reduced pitch and roll, and the suspension is supple and compliant, meaning that the strong, sporting ride is still forgiving and comfortable. 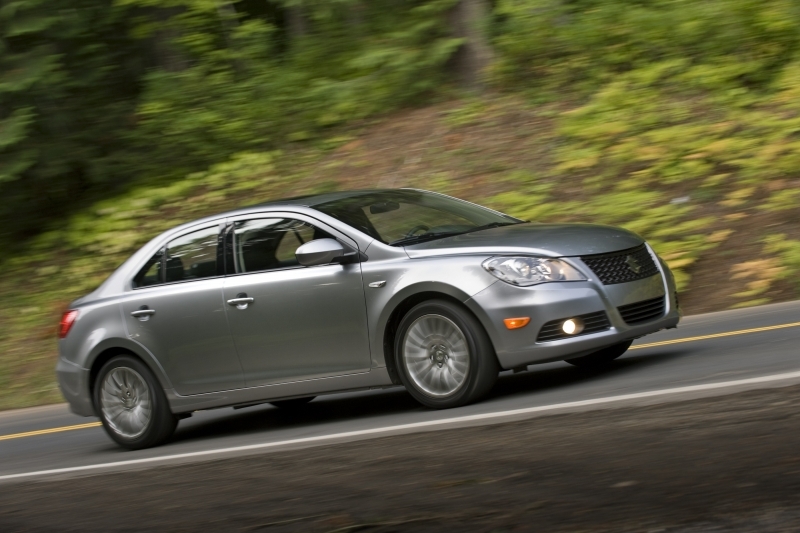 In corners, the Kizashi remains level and especially grippy in the all-wheel drive setup. While we found the 18-inch wheels a little loud on the road and general cabin noise to be slightly higher than others in the segment, the Kizashi is still a capable cruiser. And when it comes time to stop, you’ll have no trouble relying on the Akebono disc brakes, which might just be the best in the segment. Suzuki has opted to offer only one engine for the Kizashi at the moment, but don’t assume we won’t see diesel, hybrid or larger, six-cylinder options in the future. The 2.4-liter four-cylinder engine produces 185 horsepower with the standard six-speed manual transmission and five less horsepower with the CVT. Both transmissions put down 170 lb-ft of torque and power is driven to either the front wheels or all four. All Kizashis come standard with push button start, steering wheel controls and dual-zone climate control. Though opting for various trim levels will add a bevy of more interesting features such as auto rain-sensing windshield wipers, cruise control, a moonroof, rear parking sensors and heated front seats. Both the GTS and SLS trims feature a heartbeat-altering 425-watt, 10-speaker Rockford/Fosgate audio system with integrated Bluetooth calling and audio streaming. While iPod integration can be had, it’s not the smoothest setup we’ve seen; we’d appreciate some more clearly labeled buttons and knobs. Navigation will be an option, but it wasn’t available for testing during the drive. Fuel economy numbers vary depending on the transmission type, AWD/FWD and size of tires (yes, Suzuki is that thorough). At the low end the manual with front-wheel drive and 17- or 18-inch wheels gets 20 mpg city and 29 mpg highway. The CVT with front-wheel drive and 16-inch wheels gets 23 mpg city, 31 mpg highway. All other combinations fall somewhere between the two, with the CVT getting the better gas mileage overall. 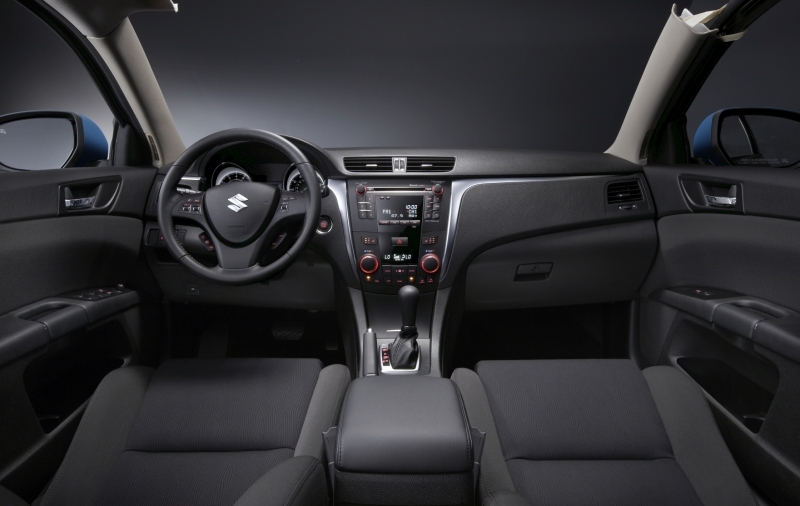 Interior fit and finish is far beyond what you’d expect from Suzuki; metallic accents present a crisp look when coupled with the soft-touch materials throughout the cabin. The center stack is streamlined and the shift knob and instrument gauges are chrome-rimmed. Passenger room is extraordinarily spacious considering the short wheelbase, and a ski pass through and 60/40 split folding rear seats provide easy access to the massive trunk. In a bold move, Suzuki has gone for a large, aggressive front grille with a scooped-out lower mouth reminiscent of the Audi lineup. The rounded body panels aren’t as sporty as one may like, but the uplifted rear spoiler adds a nice finish to the car, as do the standard dual chrome rimmed tailpipes. Three wheel options, 16-, 17- and 18-inch, are standard on various trims. 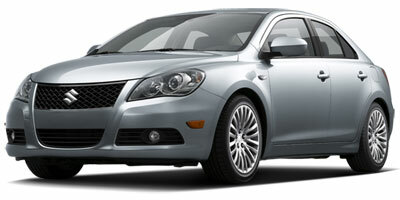 The Kizashi is priced starting at $18,999 for the base S trim and rises to $27,500 for the all-inclusive SLS. The SE and GTS fall in between the two. 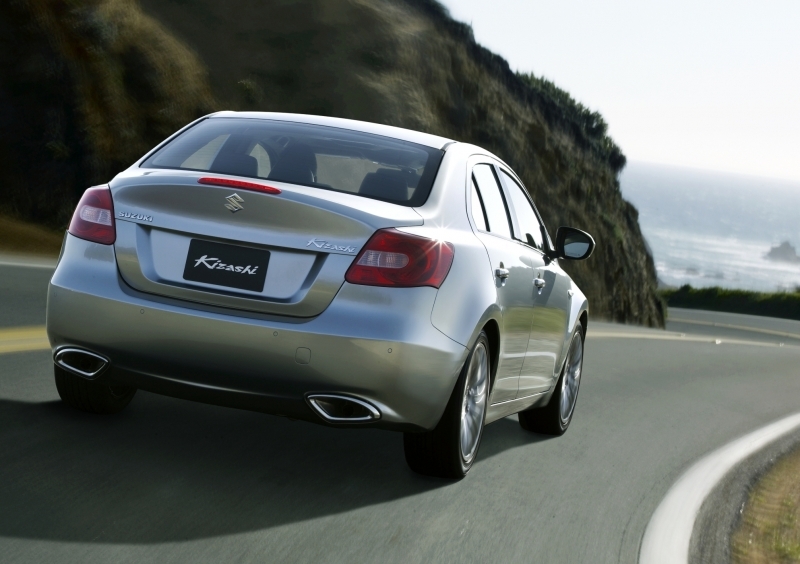 Suzuki is pitting the Kizashi against CPO luxury cars like the Audi A4, Acura TSX and even the BMW 3-Series. They expect that in the current economic times, sport-oriented buyers want luxury for less, and the Kizashi will fill that niche for them. We think you’d do well to cross-shop cars like the $27,100 Volkswagen CC and the $19,900 Nissan Altima. Currently new car shoppers are looking for options with fewer dollar signs attached to them, so the time is ripe for Suzuki to introduce a low-cost, high-quality car. With that in consideration, it’s not unreasonable to expect the Kizashi to garner quite a number of buyers. In another smart move, the inclusion of a sedan to the lineup means the Suzuki faithful have a car to grow into from SUVs and compacts. Sometimes timing is everything.